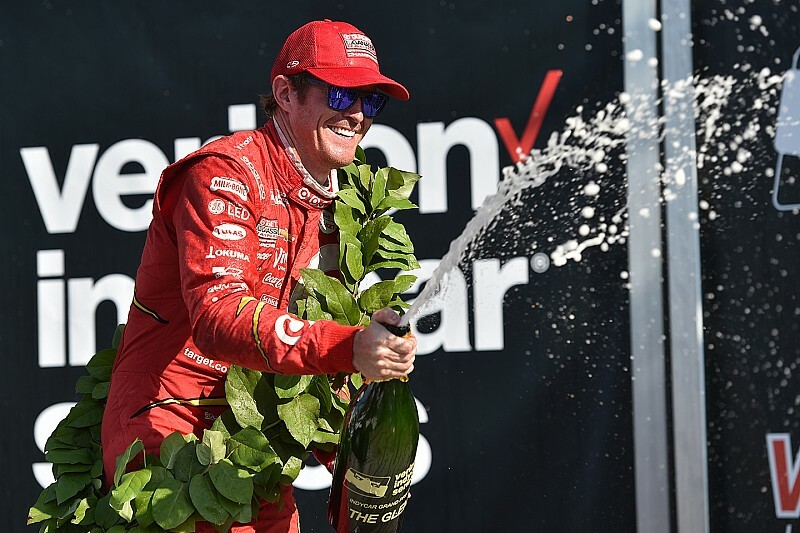 Scott Dixon completed a clean sweep of P1s through the Watkins Glen weekend to score his 40th career victory, but the championship excitement took a major blow as Will Power was turned into a barrier after contact with Charlie Kimball. 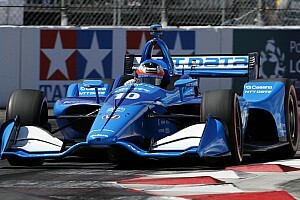 At the start, Chip Ganassi Racing-Chevrolet’s Dixon took the lead, while a cautious Power tucked in behind him at Turn 1, slightly wrong-footing Tony Kanaan, which allowed Pagenaud to convert a brilliant start from eighth into third place as they headed up the hill. KVSH Racing’s Sebastien Bourdais, by contrast, had made a tardy getaway, and found himself muscled out into the tires at Turn 1. There was added drama as Juan Pablo Montoya’s Penske-Chevy and Mikhail Aleshin’s Schmidt Peterson Motorsport-Honda clashed, spinning off but rejoining without apparent damage. Kanaan passed Pagenaud into Turn 1 at the start of Lap 2, but then Kanaan ran wide, got massively sideways over the curb, and allowed Pagenaud to draw alongside and pull ahead up the hill. Dixon had a 2.4sec lead over Power at the end of the first and second laps, while Pagenaud and Kanaan were chased hard by Castroneves, Dale Coyne Racing’s RC Enerson who had avoided the first-turn fracas, Charlie Kimball (Ganassi), Alexander Rossi (Andretti Autosport), Max Chilton (Ganassi) and James Hinchcliffe (Schmidt Peterson). Dixon continued to pull away from Power, and had a lead of 4sec after five laps, while Pagenaud tried to pull up on his Penske teammate and also pull away from Kanaan. 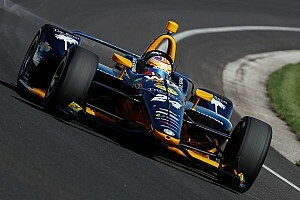 Further back, Chilton passed Rossi for eighth on Lap 5, while on Lap 7, Hinchcliffe also got around the Andretti machine. Takuma Sato was the first driver to commit to a three-stop strategy, pitting his AJ Foyt Racing-Honda at the end of Lap 8 for a fresh set of reds, as Kimball sent his Ganassi car past Enerson to grab sixth. On Lap 9, one of the championship contenders, Josef Newgarden, swapped his reds for blacks, and swiftly dispensed with Hawksworth who had just made the same choice. On Lap 10, Dixon’s lead was up to five seconds, while Power was holding a 1.7sec advantage over Pagenaud who continued to be haunted by Kanaan. Behind them, Castroneves was running a second behind his compatriot. Bourdais, his original plans in tatters since Lap 1/Turn 1, stopped for fresh rubber on lap 11, along with Ryan Hunter-Reay of Andretti Autosport. Kanaan’s dogged persistence paid off on Lap 13, as Pagenaud ran slightly wide over the Turn 1 curbs, got loose, and lost momentum to the Ganassi driver who drove around him on the right-handed part of the esses on the run up the hill to the Bus Stop. With a 6.6sec lead and a 1min24sec in-lap, Dixon’s first stop on Lap 14, going from reds to fresh blacks, looked golden. It went platinum on the very next lap, as Mikhail Aleshin spun at 150mph at the top of the Esses on the run up to the Bus Stop, bringing out the full-course yellow. The Schmidt Peterson Motorsports car, which appeared to have a delaminated left-rear made relatively light contact with the barriers on either side of the track, although the shards of carbonfiber scattered across the full width of the track. The yellow sent Power, Kanaan, Pagenaud, Castroneves, Kimball, Enerson, Hinchcliffe, Graham Rahal and Marco Andretti scurrying to the pits, and it was a bad stop for Power, who emerged behind Kanaan and his title rival Pagenaud. Not that any of these latest pitters had much to cheer, as they were behind all those who had stopped, leaving Kanaan leading the later stoppers in 12th. Back in the lead was the inevitable Dixon, and he was followed by Chilton, Montoya, Daly, Rossi, Newgarden, Carlos Munoz, Hunter-Reay, the second AJ Foyt Racing car of Hawksworth, Ed Carpenter Racing’s second car of Spencer Pigot and Bourdais. On the restart on Lap 19, Dixon sprinted away as Montoya had a big lockup while looking alongside Chilton. Behind, Kanaan demoted Hawksworth who had made a poor restart, and the blue Ganassi car grabbed 11th exiting Turn 1. But the following lap, the yellows flew again, as Rahal’s left-front made contact with Kimball’s right rear exiting Turn 1, sending the #15 hard into the tire barrier on the inside. The stewards reviewed the incident and deemed no action was necessary. Under this yellow, Castroneves pitted, as did Enerson, but even more bizarrely, Kanaan had to pit with a broken toelink on the right-rear on the #10 Ganassi entry. The repairs would lose him two laps. On the next restart on Lap 24, Dixon again sped into the distance, as Rossi made earnest efforts to get around Daly, who had already used up eight of his ten push-to-pass boosts. Further down, Power’s attempt to pass Pagenaud saw him run wide and allowed Hinchcliffe ahead, the SPM car immediately moving on to attack Pagenaud. On Lap 26, Dixon’s lead was already out 5.5sec, as Chilton felt severe pressure from Montoya and Daly, who had survived Rossi’s attack, only to see Newgarden replace Rossi as the man in his mirrors. On lap 27, Hinchcliffe passed Pagenaud to put the Frenchman back in Power’s gunsights, albeit with the pair of them running in 13th and 14th. On Lap 28, Montoya got around Chilton to grab second, while at the wrong end of the field, Enerson and Andretti made their second pitstops, but this one was a disaster for Marco, who was assessed a drive through penalty for a pit speed violation. 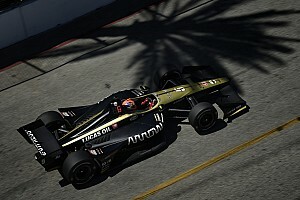 Newgarden, teammate Pigot, Hawksworth, Power and KJimball ducked into the pits on Lap 29, and Rossi, Bourdais and Hunter-Reay followed suit the following lap, all choosing the harder compound blacks. Dixon pulled in on Lap 31, with a 10sec lead and fourth-placed Daly also chose that moment for new tires. Montoya, Chilton and Munoz pitted on the next lap, leaving Hinchcliffe temporarily at the front, followed by Sato, although the latter pitted at the end of Lap 33. Pagenaud had been setting impressive 1min25s, taking full advantage of a relatively clear track ahead, while Power’s early stop had proved a bust; he was flailing around in midfield traffic and on the less favorable red tires. 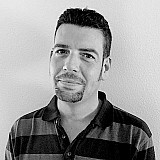 This stark contrast between the title contenders meant that when Pagenaud emerged from the pits, he had only dropped to sixth, while Power was 14th – albeit only seven seconds down, in a very close race. Castroneves, who had topped off with fuel under the previous yellow, led until Lap 36, when his third stop handed the lead back to weekend dominator Dixon, who now had a 14sec lead over Montoya, chased by Newgarden, Hinchcliffe and Pagenaud. Castroneves rejoined sixth ahead of Chilton, Daly and Bourdais. Bourdais was forced to bounce over the grass at the Bus Stop as Daly defended his eighth place hard, and that maneuver allowed Rossi to nip through and grab ninth. However, that incident looked minor to what followed on Lap 39. Kimball had a strong run on Power’s struggling #12 car up the hill out of the Esses, but the Ganassi chose to stick his front wing on the outside of the Penske car. As the 2014 champ took the racing line, his left-rear ‘bumper’ made contact with Kimball’s right-front endplate, which turned Power hard into the left barrier. Power was checked and released from the Medical Center, but was not cleared to drive, after displaying concussion-like symptoms. Everyone but Munoz, Sato and Andretti pitted under the yellow that followed and they moved to the front, while behind them Castroneves had emerged ahead of Dixon, Hinchcliffe, Newgarden, Montoya, Pagenaud, and Rossi. At the restart, Dixon immediately got around Castroneves on the front straight, as Sato attempted to wrest the lead from Munoz, and slide wide through the chicane, dropping him from second to fifth. Dixon took just two laps to pass Andretti and then Munoz, but Marco also used the opportunity to dive inside Munoz at Turn 8. However Andretti then had to pit on Lap 45, leaving Munoz falling ever further behind Dixon but running 2sec ahead of Castroneves, followed by Hinchcliffe, Sato, Newgarden, Pagenaud – who had gotten around Montoya the lap after the restart – with Rossi and Daly completing the Top 10. Sato pitted from fifth on Lap 48, and on Lap 49 Munoz made his final stop. The battle was now to see whether the leaders could soft-pedal enough to make it to the checkers, or whether Munoz and Sato were now sitting in the pound seats. If so, Sato was the guy with the advantage now because he passed Munoz into the Bus Stop chicane on Lap 50. Montoya made a third stop on Lap 49, because he wasn’t making the fuel number he needed to make it to the end, but then it seemed few were likely to. Teammate Pagenaud started coasting heavily from Lap 53, allowing Chilton and then Kimball to get ahead, dropping the #22 Penske to seventh. Daly and Rossi homed in on the championship leader too. Further ahead, the Chilton/Kimball train passed Newgarden to take fourth and fifth., while Daly did successfully pass Pagenaud. Castroneves, Chilton and Kimball ducked into the pits on Lap 57 for a splash and dash, while Montoya had a huge spin at Turn 3, dropping away from Munoz and Andretti. Sato did even worse, spinning out of his charging eighth at Turn 7 – and then completing a 360 before being able to resume his race. But the final lap brought the real drama among the front-runners, as Hinchcliffe ran out of fuel and dropped from second to 18th place. Thus Newgarden claimed the runner-up spot, ahead of Castroneves, Daly on dry tanks, Bourdais, Kimball, Pagenaud, Rossi, Enerson, Chilton, Munoz, Andretti, Montoya, Hunter-Reay, Pigot and Hawksworth. Dixon’s fourth Watkins Glen win, a result of his brilliant ability to fuel save and carry rolling speed through the corner – and the handling of his Ganassi car – delivered his 40th career victory. The Ganassi driver has moved up to joint third in the championship with Castroneves on 451 points, with Newgarden chasing hard for 446, and Kanaan dramatically dropping down to sixth on 427. Only two drivers can win the Verizon IndyCar Series title now, and Pagenaud has extended his lead over Power to 43 points – 555 vs 512 – with the Aussie’s participation at Sonoma somewhat under question. But whatever the result – a first title for Simon or a second for Will – today was a day when Dixon reminded everyone why he has four IndyCar championships to his name.